OneUniversity is a single, integrated enterprise solution, underpining the academic, operational and strategic requirements of universities and dual-sector institutions. It is the only enterprise Software as a Service (SaaS) solution to integrate the core business operations of a university using preconfigured, proven practice business processes to streamline implementation. The award recognised the strength of OneUniversity, evidenced by University of Lincoln’s selection of the solution to support its internal finance and student management operations. The selection is part of a broader business transformation strategy, aimed at improving automation and interoperability across key systems and providing a better user experience for staff and students. 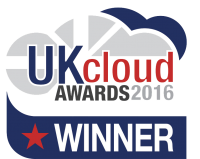 The UK Cloud Awards, established by the Cloud Industry Forum (CIF) in association with Cloud Pro, received hundreds of submissions, with just 21 winners announced on the night. TechnologyOne beat strong competition from NetSuite and Priority Software in the ERP category. Other winners on the night included Microsoft for Best Private Sector Project Enterprise, Amazon Web Services for Analytics Product of the Year and Salesforce, for CRM Product of the Year. “We are delighted that OneUniversity has been recognised as a leading true enterprise SaaS solution,” said Roger Phare, UK Operating Office at TechnologyOne. “Our close collaboration with higher education institutions over the last 30 years gives us a unique insight into the challenges they face and the solutions that can help them.